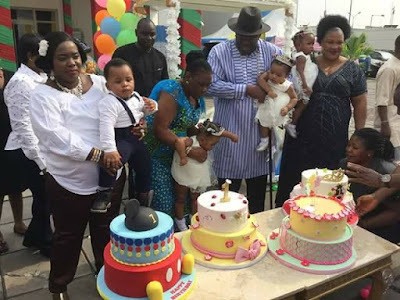 The Bayelsa State Governor, Seriake Dickson and his wife Rachel welcomed a set of quadruplets in 2016. The cute babies, a boy and three girls were delivered at a hospital in America. The babies came after many years of childlessness for the governor’s wife. 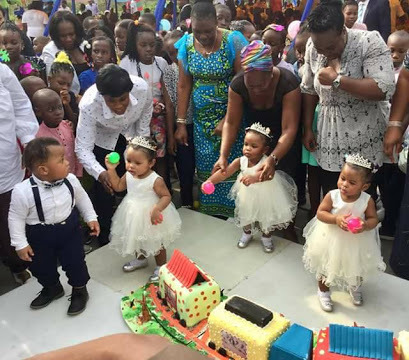 On Sunday, the couple organized a party to celebrate the babies' first birthday. The cute quadruplets named Alexander, Alaere, Ebierewarisuode and Edimere - were a year and three months old on Sunday. HBD!